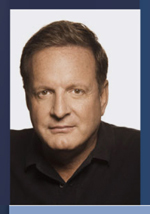 Ron Burkle is widely recognized as one of the preeminent investors in the retail, manufacturing and distribution industries. He founded the Yucaipa Companies in 1986 and has served as Chairman of the Board and controlling shareholder of numerous companies, including Alliance Entertainment, Golden State Foods, Dominick’s, Fred Meyer, Ralphs and Food4Less. He is currently a member of the board of Occidental Petroleum Corporation, KB Home and Yahoo! Ron is Co-Chairman of the UCLA Burkle Center for International Relations and is broadly involved in the community. He is a trustee of the Carter Center, the National Urban League, Frank Lloyd Wright Conservancy and AIDs Project Los Angeles. He has received numerous awards, including the AFL-CIO’s Murray Green Meany Kirkland Community Service Award, the Los Angeles County Federation of Labor Man of the Year and the Los Angeles County Boy Scouts Jimmy Stewart Person of the Year Award.